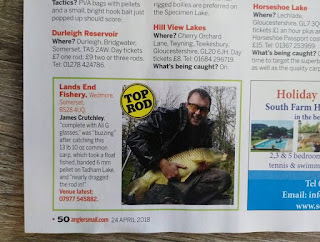 A very grand title and one which isn't the best description of my fishing activities. Nevertheless I will take the accolade! Many thanks to Anglers Mail!